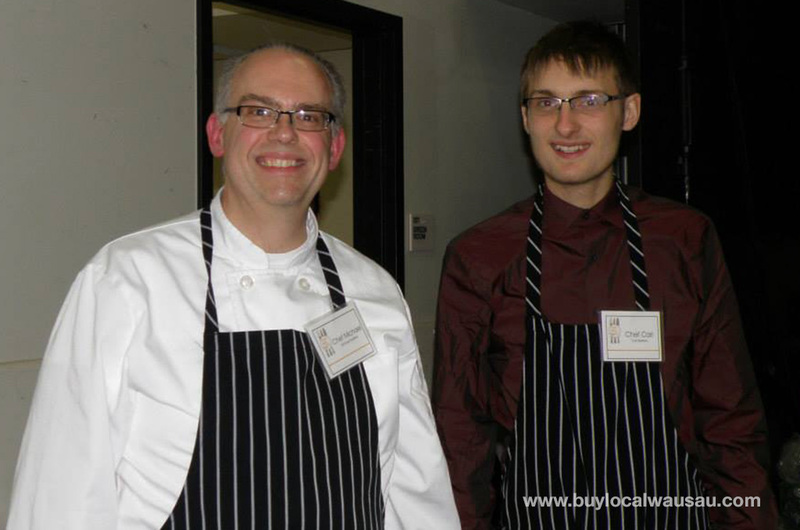 It was an unforgettable evening at this year’s Men Who Cook Event. The teams of celebrity chefs provided outstanding dinners for the guests at what has become one of the top foodie events of the area. This event is a benefit for the Wausau YWCA and helps support their community programs, serving youth, women, and families. As a four year veteran of this event, it was a pleasure and thrill to be able to create and share a memorable dinner for my guests. The thing I love about this event is it gives me a chance to stretch and refine my culinary experiences. I’m always learning something new and this year is no different. This year’s menu included was based on the history of the Santa Fe Railway and popular turn of the century Fred Harvey chain of restaurants. More about Fred Harvey and his innovative way of feeding the American Southwest can be read here. My menu is a nod to the man and his restaurants with a meal based on authentic menus and recipes. 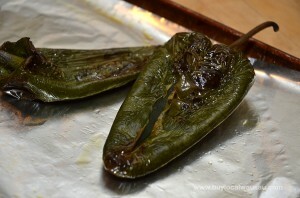 The poblano chiles should be roasted either in the oven or on the grill before adding to the soup. To roast, coat the peppers with olive oil and place in a 400 degree oven for 30 minutes, turning once. The skin will get dark and blistery. After roasting, put the peppers in a glass bowl to cool and seal with plastic wrap. After 5 minutes the skins will easy peel off. 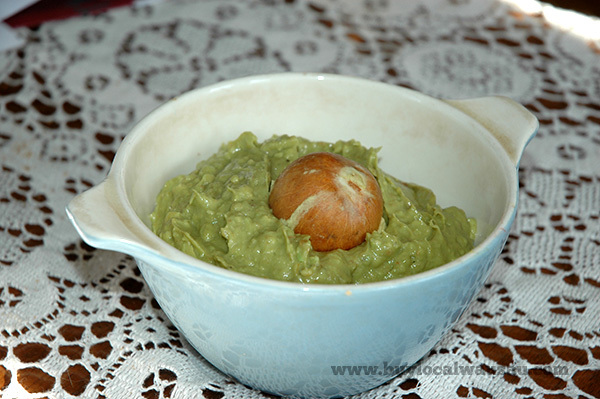 Melt 2 tbsp butter or olive oil in a large pot over medium heat and saute onion, celery, and peppers, 4-6 minutes). Add corn, stock, half and half, and seasonings. 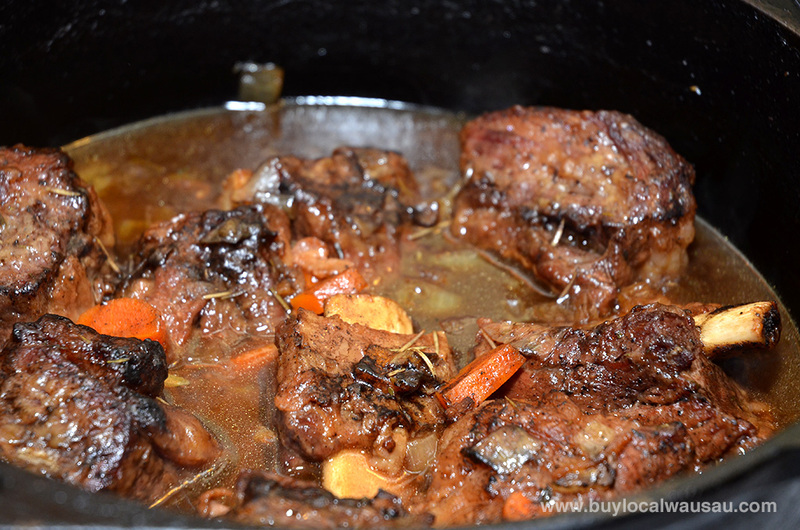 Let simmer for 30 minutes. Season with cilantro and salt and pepper. 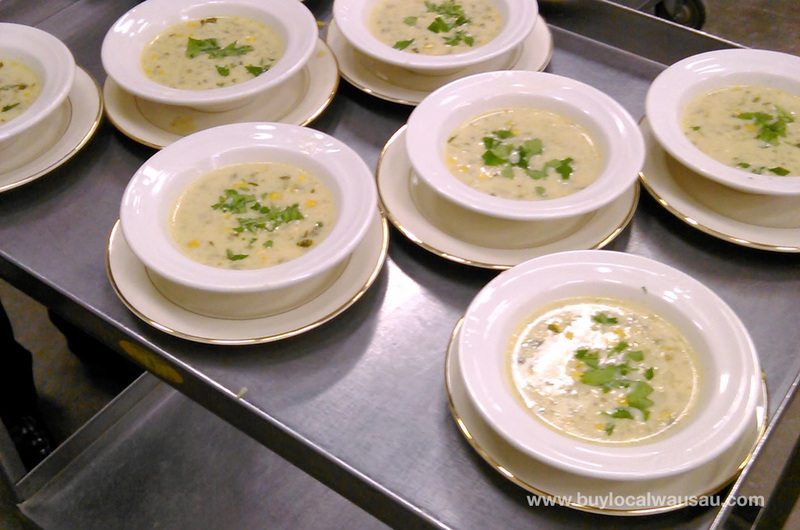 Ladle into bowls and garnish with additional cilantro. 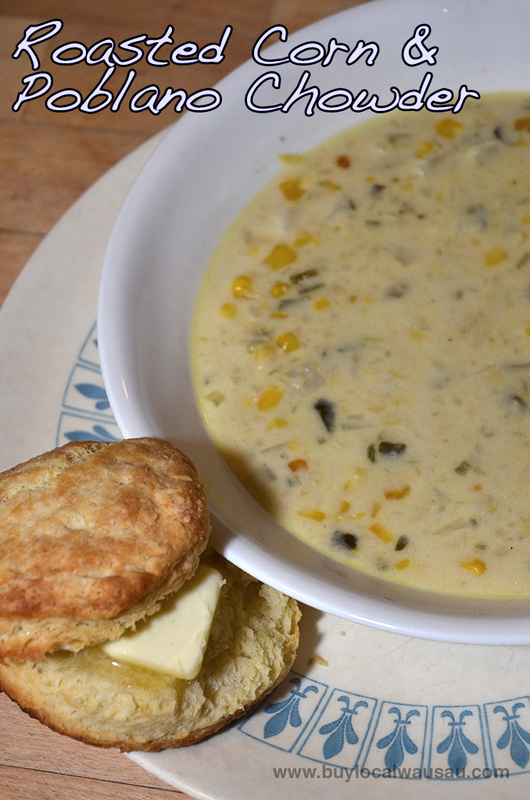 Chowder can also be thickened with a roux of 2 tbsp butter and 2 tbsp flour.